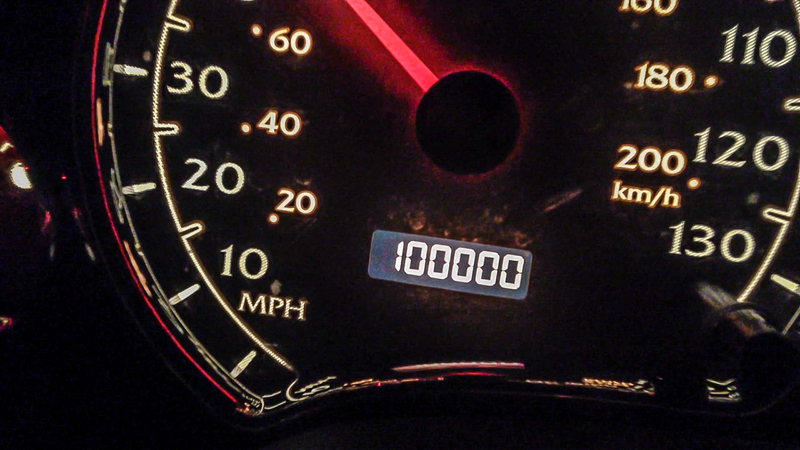 I hit a pretty cool milestone this week – 100K miles on my car. I realize in the whole grand scheme of things that it’s not THAT big of a deal, but it’s cool. Yeah, I’ve had cars with over 100,000 miles on them, but I hadn’t put all of them on it. See, this is my first new car. I’ve been the only owner since I bought it in 2005. I didn’t actually think it was going to last as long as it has because in the first year alone I racked up about 35,000 of these miles. Anyway, here’s to another 100 grand! Just hit 100K on my first new car!